Heroic Hugh Jackman "breathes the fire into Wolverine" (Miami Herald) - with a vengeance! This pulse-pounding action thriller sinks razor-sharp adamantium claws into the mysterious origins of Logan / Wolverine: his epically violent and romantic past, his complex relationship with Victor Creed / Sabretooth (Liev Schreiber), and the ominous Weapon X program that unleashes his primal fury. Along the way, Wolverine also encounters legendary new mutants, including Deadpool (Ryan Reynolds) and Gambit (Taylor Kitsch). You'll go "berserker" for this deeper, darker, more-spectacular-than-ever chapter of the X-Men saga! $85.058 million on 4099 screens. Although the X-Men series produced its biggest-grossing effort with its last film, the franchise branches in another direction with a prequel, 2009’s X-Men Origins: Wolverine. 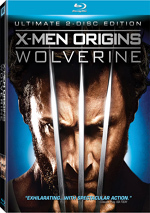 As expected, it focuses on the early days of Wolverine, the series’ most popular character. Initially set in northwest Canada, Origins starts in 1845 and introduces us to young James Howlett (Troye Sivan). In one fateful night, many revelations occur. His friend Victor’s (Michael James-Olsen) father Thomas Logan (Aaron Jeffery) kills James’ dad John (Peter O’Brien). In a rage, James learns that he has super-powers, and he uses these to slay Logan. With his dying breath, Logan reveals that he – not John – is actually James’ father. This makes Victor and James brothers, and the film quickly follows them from 1845 through to the mid-70s. Through this montage, we learn that not only do they have special powers, but also they’re immortal. This makes them excellent fighters since they can’t die, but they’re poor soldiers due to resistance to the commands of authority. That’s especially true of the nearly feral Victor (Liev Schreiber), who shows a brutal, sadistic side. While pretty rough around the edges himself, James (Hugh Jackman) seems a bit more civilized, and he helps to restrain Victor’s more savage tendencies. 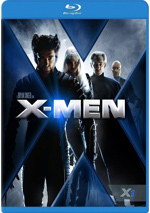 After a firing squad tries – and fails – to kill them, dsadsadsad William Stryker (Danny Huston) recruits them to be part of Team X, a band of mutants who go on mercenary assignments. During one of these, Stryker and his charges get too sadistic. This disgusts James, so he quits, and he parts ways with Victor as well. Fast-forward six years, and James finds himself back in northwest Canada. He works as a lumberjack and lives a generally content lifestyle with school teacher girlfriend Kayla Silverfox (Lynn Collins). Unfortunately, his past catches up with him, as Stryker returns to tell James that someone is killing old members of Team X. He wants James back in the fold, but he resists – until the assassin appears on the scene and kills Kayla. The culprit? Victor. The pair come to blows, and Victor wins. Stryker tells James that he can use a metallic compound to make him even more powerful. Intent on revenge against Victor, James agrees, and he adopts the nickname “Wolverine” to honor Kayla. When James survives the harrowing experimental ordeal, the ever-shifty Stryker reneges on his part of the deal. He wants to use Wolverine for his own purposes, so he intends to erase the mutant’s memories. Wolverine hears this and rebels. He escapes and embarks on a dual path: to find Victor and to deal with Stryker’s pursuit. Although I read a lot of X-Men/Wolverine mags back in the early-mid 80s, I didn’t remember much about his origins when I entered the movie. Apparently there’s a good reason for this: until recent years, the comics didn’t provide much background. That’s unusual, as most superheroes start out with reasonably concise origin stories. For instance, Spider-Man’s first story provided the facts about his roots, and while Batman’s initial appearance lacked the details, the franchise gave them too us before too long. In contrast, it appears that Wolverine had been around for nearly three decades before he earned a proper exploration of his origins. In theory, Origins offers an intriguing prequel concept. While the first X-Men flick showed how Wolverine joined that team, it didn’t depict the earlier steps that brought him to that point. That was true for all of the X-Men, really; with so many participants, the films didn’t have much time to properly introduce them. With a character as complex and interesting a Wolverine, the prospect of an extended backstory sounds good. Unfortunately, the execution of Origins doesn’t bring the tale to life in a particularly effective manner. Rather than focus on basics and its lead character, Origins makes this one feel like another X-Men movie. It tosses in many new roles and doesn’t allow them to go much of anywhere. Victor remains nothing more than a sadistic baddie, and Stryker merely needs a mustache to twirl to fulfill his destiny. The flick delivers tons of mutants, but they’re mere diversions that frustrate more than they entertain. The scattered nature of the plot doesn’t help. Origins is all over the place. A simple tale of brother against brother would’ve sufficed, but instead it tosses in grand schemes about mutants and special weapons. Perhaps the filmmakers thought these would give it an epic scope, but instead they simply make the tale unfocused and excessively busy. All of which I could forgive if the whole enterprise didn’t seem so bland and generic. There’s a reason Wolverine became such a popular character: dynamic and complex, he’s more of an anti-hero than the average costumed do-gooder. Origins goes a long way to neuter him, as the gruff charm Jackman showed in the prior X-Men flicks disappears here. Maybe the stress of making him a headline character ensured that Wolverine would lose some of his dark side. No, he’s not totally without character, but this flick’s Wolverine comes across as rather forgettable. That’s a tendency that affects the whole project. Little here delivers a whole lot of energy or spark. Action scenes feel almost perfunctory, as though they exist because they’re supposed to rather than because the story really needs them. While prior X-Men tales included some good set pieces, the ones here fail to deliver much to make them memorable. They come along, they offer minor diversions, and that’s that. Nothing here embarrasses the X-Men franchise, but nothing about Origins enriches it, either. The movie provides generic superhero action without much substance. This is an ordinary film. End credits note: stick around until the very end for a couple of bonus tidbits. X-Men Origins: Wolverine appears in an aspect ratio of approximately 2.35:1 on this Blu-ray Disc. Though not a bad transfer, the image lacked the quality I expected from a brand-new major motion picture. For the most part, sharpness was fine. A few wide shots demonstrated minor softness, but those instances didn’t became pervasive. Instead, the majority of the movie displayed good – though not stellar – definition. No problems with jagged edges or shimmering occurred, and edge enhancement was absent. A few source flaws emerged. I saw a handful of small specks, and one big streak showed up early in the film. None of these created big distractions, but a movie like this shouldn’t have any print defects. Quite a lot of grain appeared, but I didn’t view that as a concern; this was intended to give the movie a gritty look, so it wasn’t an actual flaw. In terms of colors, Origins went with a pretty stylized palette. Some scenes went with a natural look – especially those in Canada – while others took on a heavier tint. The tones looked positive through the film and displayed the intended colors well. Blacks were dark and dense, but shadows tended to be a bit too thick. As with the grain, some of this was intentional, but I still thought the movie lacked very good low-light definition. Overall, the flick remained generally attractive but not quite up to expectations. While the DTS-HD MA 5.1 soundtrack worked better, it wasn’t quite as spectacular as I thought it’d be. The soundfield was generally good. The film packed quite a few action scenes, and these brought the soundscape to life in a positive – though not stellar – way. The track focused more on the forward speakers than I’d anticipated, so surround usage was slightly subdued. In a relative sense, of course. All five speakers received a good workout, but with comic book material like this, I expected more of a constant sonic barrage. As it stood, though, the track added a lot of zing to the proceedings, and it spread material out in a satisfying way. Audio quality was solid. Speech seemed concise and distinctive, without edginess or other issues. Music fared quite well, as the score seemed lively and full. Effects were also positive. They showed nice vivacity and range; those elements conveyed good accuracy and provided a nice jolt to the proceedings. Overall, this was a very good – though not great – mix. We find a broad selection of extras here, starting with two separate audio commentaries. The first comes from director Gavin Hood. He provides a running, screen-specific look at story/character issues, deleted/alternate scenes, cast and performances, sets and locations, visual design and effects, stunts and action, the flick’s tone, and a few other production areas. Hood starts slowly, as he initially does little more than narrate the movie. However, he quickly picks up a head of steam and engages in more useful subjects. Once he gets going, Hood manages to dig into the film in a satisfying manner, and he provides an enjoyable and introspective look at the film. For the second commentary, we hear from producers Lauren Shuler Donner and Ralph Winter. Both sit together for their running, screen-specific chat that essentially covers the same topics Hood touched on in his track. That doesn’t make the producers’ commentary redundant, however. Yes, they occasionally throw out facts we already learned from Hood, but they manage to come at the movie from a different viewpoint, so they include a decent number of unique thoughts. I prefer Hood’s stimulating track, but Donner and Winter makes theirs worthwhile as well. Like many Blu-rays, Origins comes with an interactive mode. Ultimate X-Mode BONUSVIEW breaks into four areas: “X Connect”, “The Director’s Chair”, “Pre-visualizing Wolverine” and “X Facts”. “X Connect” features notes from Hood and Donner. Throughout the movie, they occasionally pop up to give us more background about the characters and story as well as connections to the other X-Men movies. When they appear, they offer some decent notes, though a lot of their thoughts already show up in the commentaries. To make “X Connect” even more frustrating, the pop-up boxes appear pretty infrequently. They don’t even launch until the movie’s 7:40 mark, and they don’t come to us very often. I’d like this feature better if we could easily skip from one pop-up to the next, but the chapter markings don’t allow us to do this. With “The Director’s Chair”, we get more pop-up video with behind the scenes bits and remarks from Hood and a few others like Hugh Jackman. He discusses characters and story, connections to the comics and liberties, visual techniques, sets and locations, and some other movie subjects. Essentially this feels like an alternate commentary, though like “X Connect”, the pop-ups come too infrequently to make it satisfying. Actually, “Chair” starts well, as Hood chats a lot in the first few minutes, but then his appearances become more hit or miss. Again, the lack of a user-friendly option to skip from one clip to the next makes this less enjoyable. Still, Hood continues to offer a thoughtful presence, so if you can tolerate all the space between videos, you’ll want to give it a look. “Pre-visualizing Wolverine” offers more pop-up windows. As the movie progresses, these show storyboards and pre-viz shots so we can compare them to the final product. I’m not a huge fan of this kind of feature, but it’s a reasonably interesting way to see how the actual film connects to its intended visuals – when the pieces appear. As usual, the pieces show up infrequently; the first doesn’t come along until the 10:15 mark. That makes this another sporadically useful but often frustrating extra. Finally, “X Facts” offers a standard text commentary. It gives us a variety of notes about the film’s creation, cast and crew, story elements and interpretation, and background from the comics. It’s a good recap of these components. Four Deleted/Alternate Scenes fill a total of 10 minutes, 15 seconds. These include “Young Storm” (1:31), “Victor at the Boxing Ring” (0:32), “Alternate Memory Erase Sequence” (7:29) and “Japanese Bar Scene” (0:43). Of all these, “Storm” is the most interesting, as it gives us a look at that mutant as a kid. It doesn’t fit the series’ mythology, but it’s fun. The others are less compelling, and “Memory” seems especially tedious. We can view the scenes with or without commentary from Hood. He provides a little background about the sequences and lets us know why all of them got the boot. As usual, Hood proves informative and interesting. Next we find some featurettes. The Roots of Wolverine: A Conversation with Stan Lee and Len Wein goes for 16 minutes, 18 seconds, as it provides a chat with the two comics writers. We learn about how Lee and Jack Kirby developed the X-Men, how Wein came up with Wolverine, and other thoughts connected to the comic series. I like the format, as the two men show good chemistry and make this a fun exploration of the X-subjects. In the 12-minute and five-second Wolverine Unleashed: The Complete Origins, we hear from Donner, Hood, Jackman, stunt coordinator JJ Perry, visual effects supervisor Patrick McClung, special makeup effects designer Alec Gillis, and actors Dominic Monaghan, Daniel Henney, and Liev Schreiber. The title implies that we’ll get a good look at the roots of the Wolverine character. Alas, that’s not what we find. Instead, we receive a love letter to Jackman and how wonderful he is. Yeah, we find a few decent tidbits such as the design of the bone claws, but don’t expect much meat here. For info about a variety of movie characters, we go to the Weapon X Mutant Files. Taken together, these fill 53 minutes, 57 seconds and cover 10 roles: Victor Creed/Sabretooth, William Stryker, John Wraith, Kayla Silverfox, Fred Dukes/Blob, Bradley, Remy LeBeau/Gambit, Agent Zero, Wade Wilson/Deadpool, and Kayla’s sister Emma. These presents remarks from Schreiber, Jackman, Hood, Donner, Monaghan, Henney, Winter, Perry, Gillis, additional VFX supervisor Craig Lyn, and actors Danny Huston, Will.i.am, Lynn Collins, Kevin Durand, Taylor Kitsch, Ryan Reynolds and Tahyna Tozzi. The participants give us character and performance details along with some stunts, makeup and effects elements. Some of this feels a bit fluffy, but we still get a good number of useful insights, and a reasonable amount of nice footage from the set comes along for the ride as well. Stunts come to the fore in The Thrill of the Chase: The Helicopter Sequence. It lasts five minutes, 53 seconds and features Jackman, Winter, Hood, McClung, Perry, Donner, and second unit director/co-producer Peter MacDonald. As anticipated, we see tidbits of the scene’s creation. It’s too short to be particularly insightful, but it gives us some decent glimpses of the work put into the sequence. The disc opens with some ads. We get promos for Blu-ray Disc, The Marine II, Family Guy: Something, Something, Something Dark Side, and Sons of Anarchy. 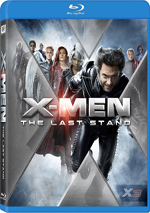 “Fox On Blu-ray” includes clips for X-Men Trilogy and Night at the Museum: Battle of the Smithsonian. No trailer for Origins appears here. A second disc provides a Digital Copy of Origins. This allows you to slap the flick onto your computer or portable viewing gadget. Have fun! While I wouldn’t call X-Men Origins: Wolverine a bad movie, I certainly can’t find much to make it appear particularly good, either. The flick delivers 107 minutes of mild entertainment but does nothing to become memorable or distinctive. The Blu-ray offers inconsistent visuals, good – but not superior – audio and a broad, often engaging collection of supplements. I wanted to like Origins, but the end result leaves me cold. I hope the next exploration of the X-Men universe gives us something more dynamic.